Looking for the perfect sedan for your family in Savannah The 2017 Toyota Camry is filled with all the features you want while providing the power you need. 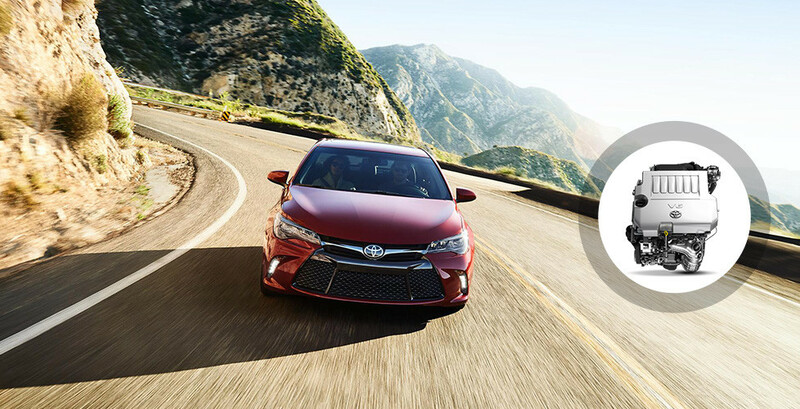 Your commute near Hilton Head Island will be easy and convenient with the Camry! Check it out today from Savannah Toyota. LED headlights and daytime running lights improve visibility whether it’s night or day. These lights cast a brighter and clearer light than traditional halogen lamps, but use only a fraction of the energy to make your drive more efficient. 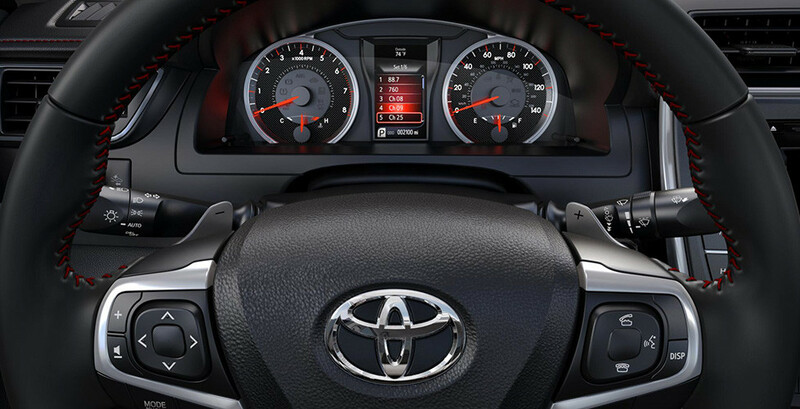 Black sport trim bezels reflect the LED’s light and give your Camry a sporty look. 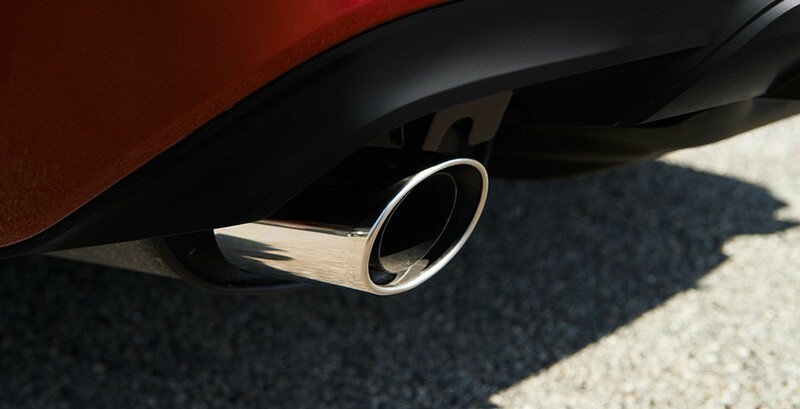 The Camry features a dual exhaust system that improves air intake and exhaust, improving fuel efficiency and reducing knocks and stalling for a smoother ride. 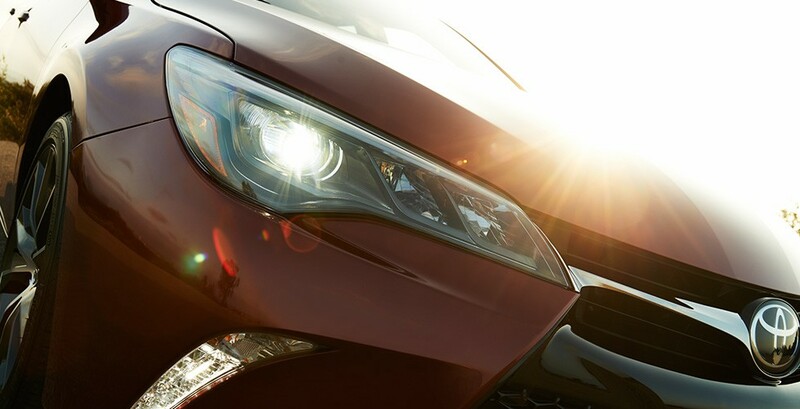 The chrome tips catch the light and give your Camry a sophisticated finish. Enjoy the security of sport seats designed for high G-forces. Side bolsters keep you in place even going around tight curves. Choose from buttery smooth leather with red contrast stitching for a luxurious look, or Ultrasuede seating and inserts for a plush feel. Eight-way power seating with power lumbar support keeps you limber even on long rides, while heated front seats keep you cozy in the winter. Steering wheel mounted paddle shifters have a race-inspired functionality that makes it convenient to shift gears without taking your hands off the wheel. Manually shift into the gear you need for those speedy rides, while the system matches revs when you downshift in order to maintain a smooth and comfortable ride. The steering wheel also holds your cruise control, audio controls, and Bluetooth buttons. The available power moonroof opens up with just the touch of a button or tilts to let in a breeze. Open up the spacious cabin to enjoy the natural light and fresh air with this skylight! 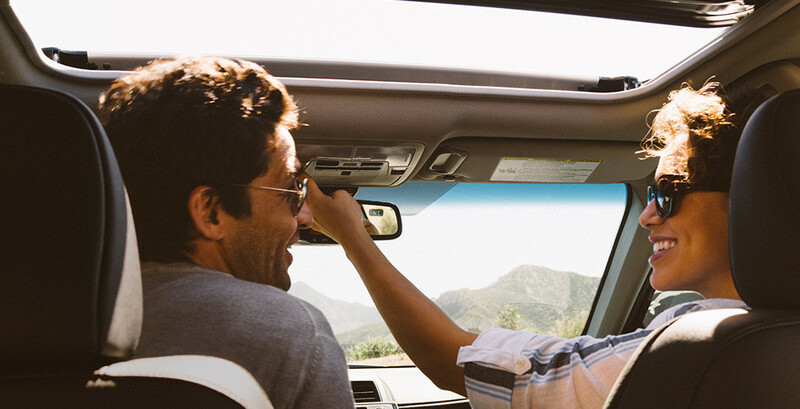 The Camry delivers perfect sound two ways. The JBL Green Edge audio system uses ten speakers in eight locations throughout the car, as well as an amplifier and subwoofer to bring your crystal clear sound. Outside noise is kept to a minimum with sound-absorbing insulation, placed in strategic spots pinpointed with sound-imaging technology. 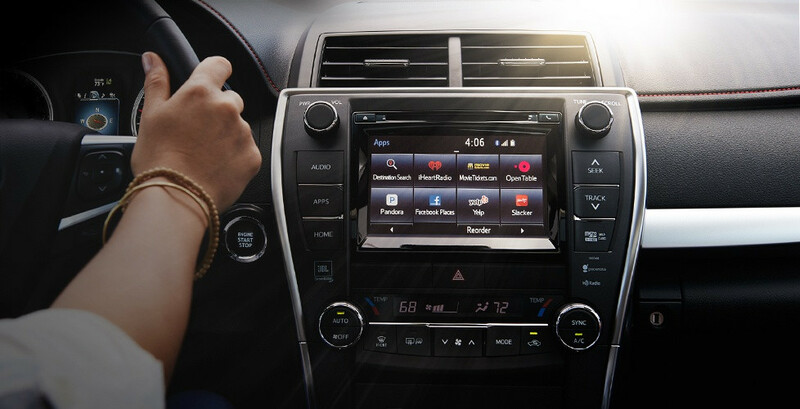 The Camry’s smart key system uses a remote sensing proximity key fob to make starting your car easy. Leave the fob in your pocket or bag, and the fob will lock the doors automatically when you walk away and unlock them when you come into range. 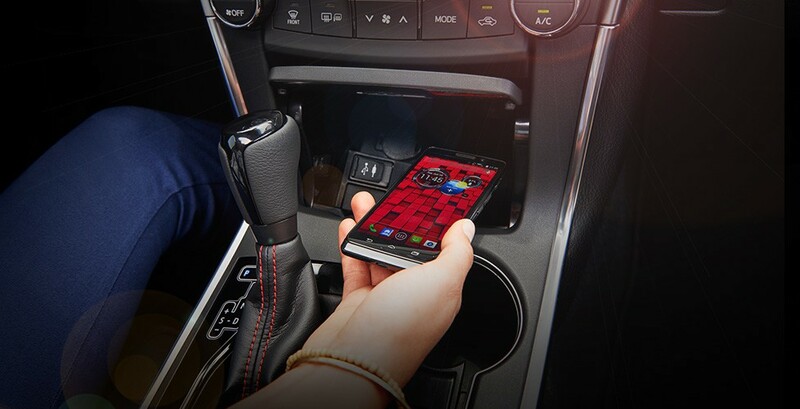 The push-button start system lets you start your ca with just the push of a button when you’re inside, or remotely from the key fob so you can warm up your engine. Qi wireless charging lets you place your device on an electrostatic charge plate to rev up the battery. No wires, cords, or expensive adapters, just a nonslip surface to store and charge your phone! The Entune app suite makes it easy to get all the media and information you need. Enjoy streaming radio from your favorite site, or check Yelp for restaurant recommendations near you. Make restaurant reservations or check movie times and get movie tickets. You’ll even be able to get fuel prices near you, sports scores, stock prices, and traffic and weather information in your major metropolitan area. 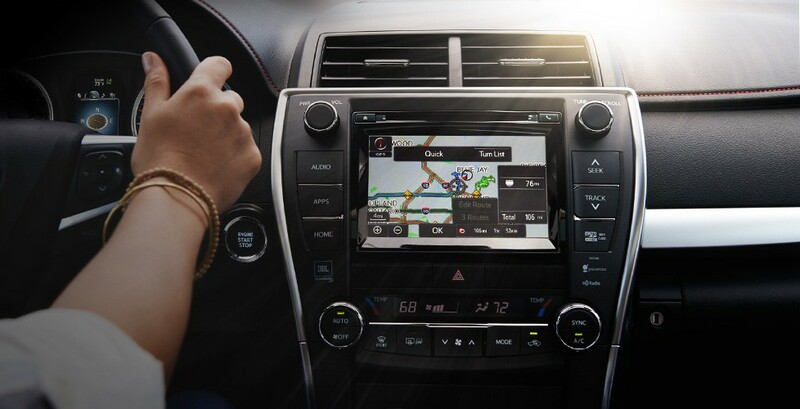 The 2017 Toyota Camry Features an in-vehicle navigation system uses real-time satellite information to bring you turn-by-turn directions, with real-time information on traffic patterns in your metropolitan area. Choose the premium audio system for traffic predictions based on past information, or for suggestions for an alternate route with a shorter driving time. The 2017 Toyota Camry features a choice of two engines. The 2.5L 4-cylinder engine produces 178 hp and 170 lb-ft of torque, getting up to 33 mpg highway. The 3.5L V6 engine produces an impressive 268 hp and 248 lb-ft of torque, getting up to 30 mpg highway. Each engine uses a dual overhead cam shaft system and dual variable valve timing with intelligence, which improves engine efficiency without reducing power. 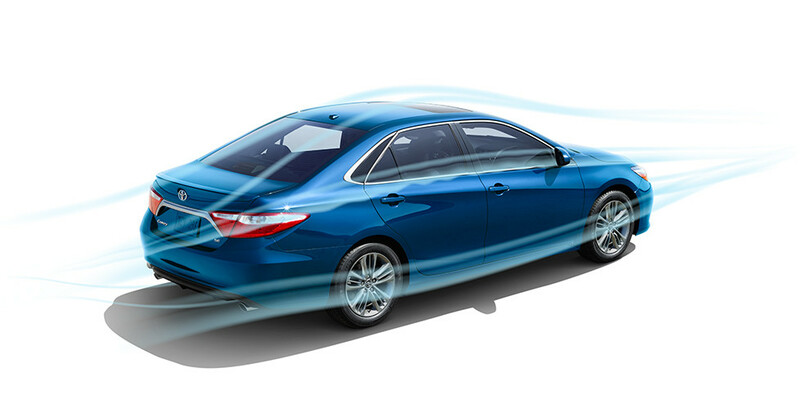 The Camry is designed with small design elements called vortex generations. These curves and lines interact with complex air patterns to smooth out air currents, reduce turbulence, and improve performance and control even at high speeds. They also add a unique look to the Camry! 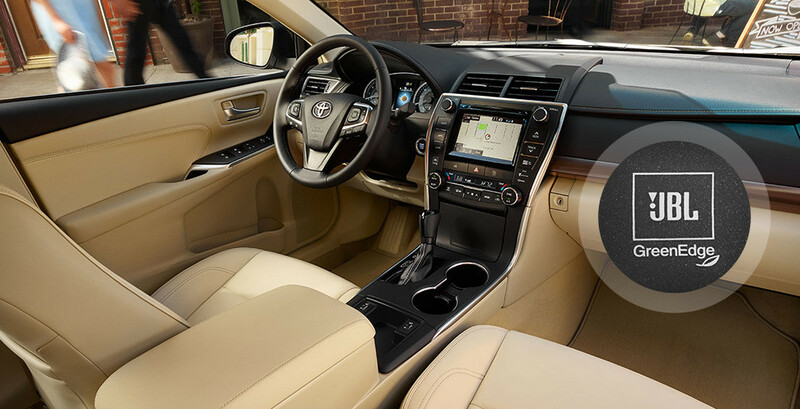 Are you ready to get into the 2017 Toyota Camry in Savannah? Savannah Toyota can make it happen! Call us today at (855) 411-6139 or come see us at 11101 Abercorn Street, Savannah.